Life's great teachings come to us in many forms. It's been said that when the student is ready, the teacher will appear ..... I couldn't agree more. There's something about being of open heart and open mind that invites answers, learning and wisdom. As Gandhi said, "It is unwise to be too sure of one's own wisdom." That implies that if we continue as seekers, we will constantly evolve and grow. 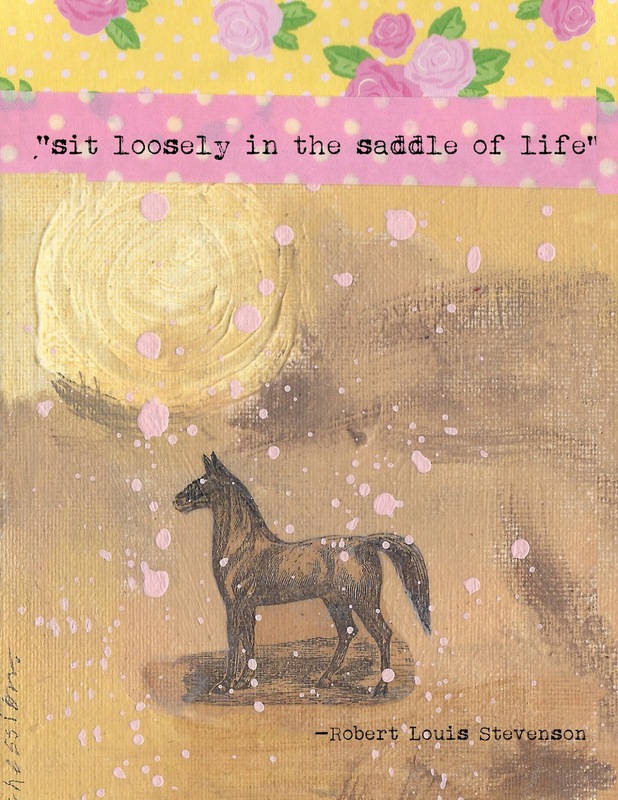 And if we "sit loosely in the saddle of life" as Robert Louis Stevenson once wrote, we will be able to nurture our development as students of life here on earth school. This small piece will be turned into a post card and be part of my upcoming post card collection - available in my Etsy shop.